You can use the tool to view SolidWorks, AutoCAD, CATIA, Draftsight, and many other paid and free 3D CAD software formats. 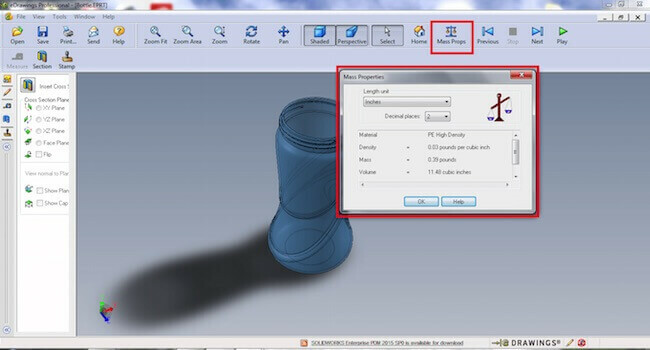 Once you’ve downloaded eDrawings, notice that you can already open a part or assembly model created in SolidWorks. This will have a file extension of .SLDPRT or .SLDASM. In order to get the most out of eDrawings, however, it is recommended that you use models which have been saved from your CAD package as “eDrawings parts.” For the images used in this article, I’m using a basic part file that has been saved as an eDrawings part (.EPRT). First, acquaint yourself with the task bar running across the top of the user interface. This task bar has many simple features – such as Open, Save, Print, etc. In addition, the task bar has shortcuts to move and view a model using Zoom functions, Rotate, and Pan. To the right of these buttons, notice that you can change how the model is displayed using the Shaded and Perspective options. The Shaded option toggles between a more detailed model display, in terms of color and lighting, and an outline-style view. Perspective toggles between standard 2D-projection of the 3D geometry and “perspective” view, which creates a more realistic portrayal of the model by distorting it with vanishing points, as we might perceive objects in the real world. The Mass Props button does exactly what you might think, but perhaps even more – this feature will show the part material, density, mass, volume, and surface area, in any of your preferred unit of measurement, and to any number of decimal places up to 8. Note – This feature isn’t available for SLDPRT or SLDASM files – this is why it’s important to save off models as EPRT file beforehand! The Measure tool allows you to click between points on the model and take measurements of length. 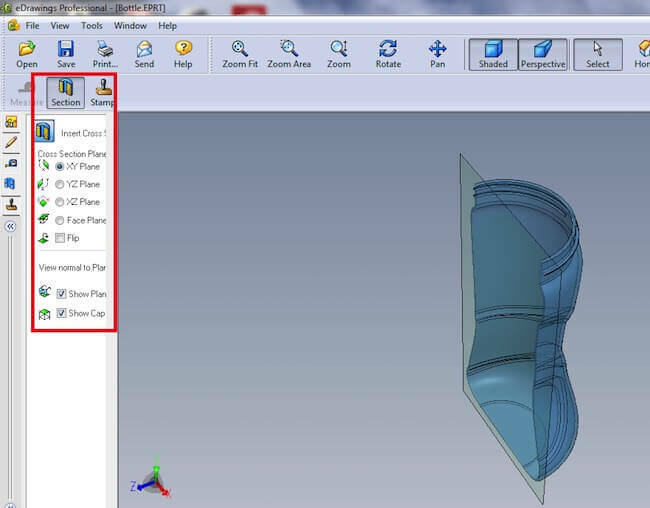 The Section tool allows you to cut the model along any plane and view a cross-section of the model. The Stamp feature allows you to stamp the model as “Approved,” “Draft,” “For Comment,” among other options, which might be useful when working with a client or colleague on a model, or for your prints. The Continuous Play option makes the model in the viewer rotate between preset views – by default, these are Isometric and orthogonal views from SolidWorks or other CAD package. 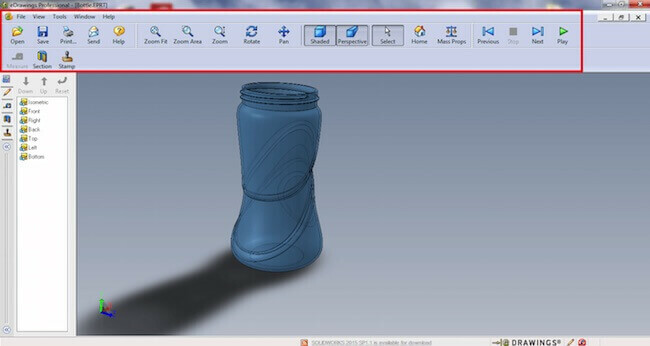 Although the eDrawings Viewer is quite limited in terms of number of features when compared to SolidWorks software, it’s a free and extremely easy way to see models on virtually any computer. 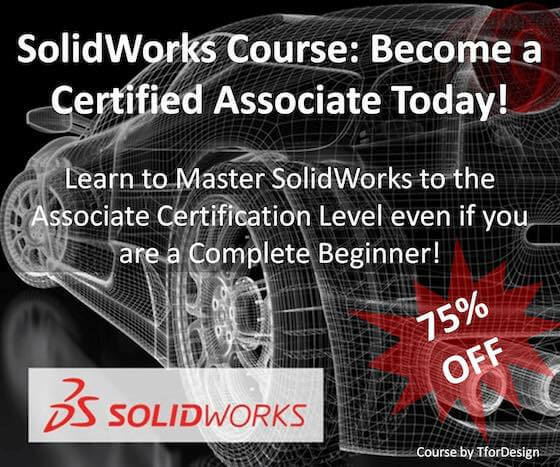 It’s also very easy to use, even if you have no prior experience with SolidWorks or other CAD software. Try these SolidWorks tutorials, and then take the model you created and run it through the eDrawings software. Give it a shot – you’ll quickly get the hang of it, and it will be easier than you may have thought to view 3D CAD models.